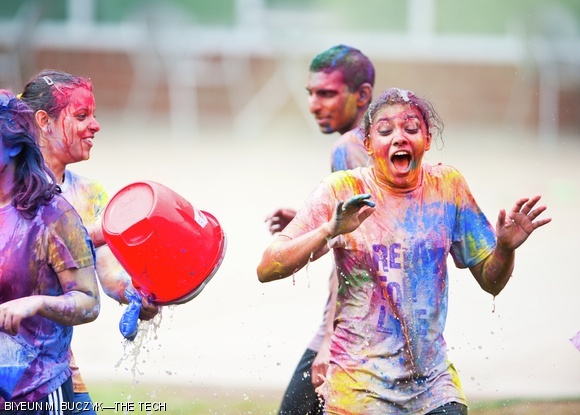 Students throw colored powder in celebration of the spring season at MIT’s Holi celebration on Sunday. Holi is celebrated widely in South Asia. For more photos of the event, p. 10.